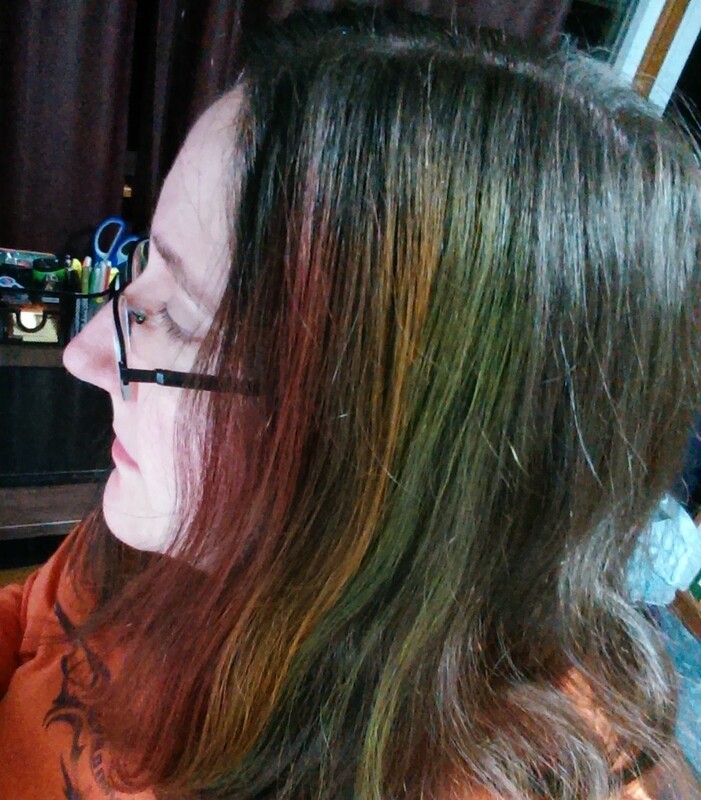 In case you’re interested, the dye kinda reminds me of a crayon. It’s in stick form and waxy. 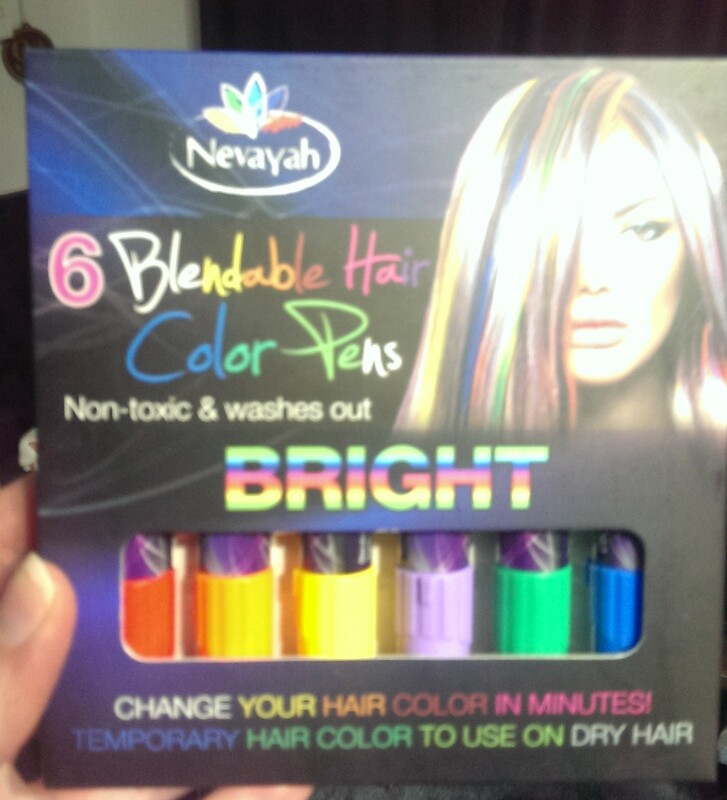 Goes on pretty easily, just rub it over your hair and it dries in a couple minutes. Came right off my hands with soap and water. It is supposed to wash out of hair in 3 washes, so I will keep an eye on it over the weekend. It’s been about an hour and a half since applied and it does stain my fingers a little if I run them through my hair. First picture is the red, orange, and yellow. The yellow is pretty terrible. Orange came out the best but red is not at all shabby. 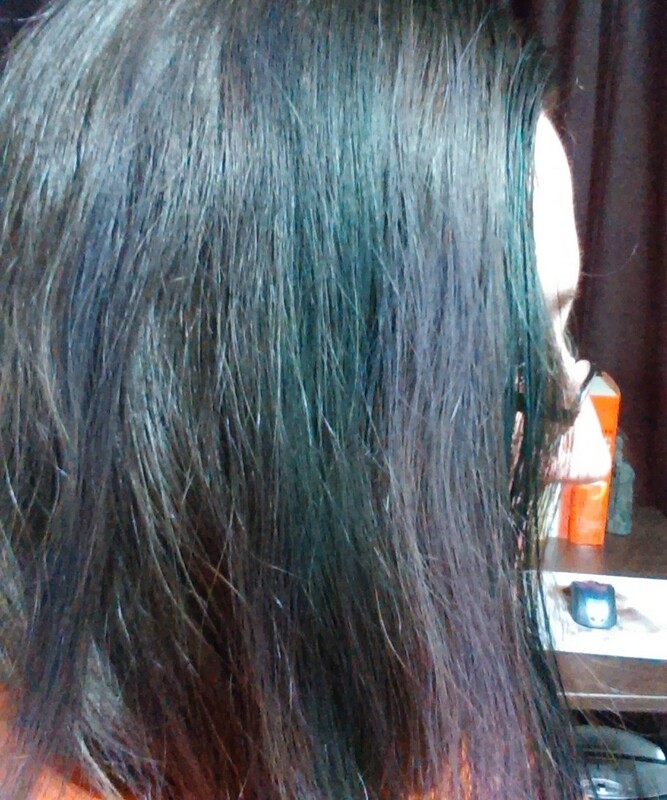 Second picture is the purple, green, and blue. For my Halloween costume I wanted to use the purple and blue, but I might need to shake things up since they don’t look as good. Or maybe just put on a LOT of applications. I will probably keep that green around for fun. Green is always fun. Sorry, pillowcase, for everything I’m going to get on you tonight. That was fun! All of us with dark hair… I didn’t think that the colour would show up, but it did. I’m kind of partial to the blue and green as well.